Made of tweed cotton polyester mix, fully lined non sheer. 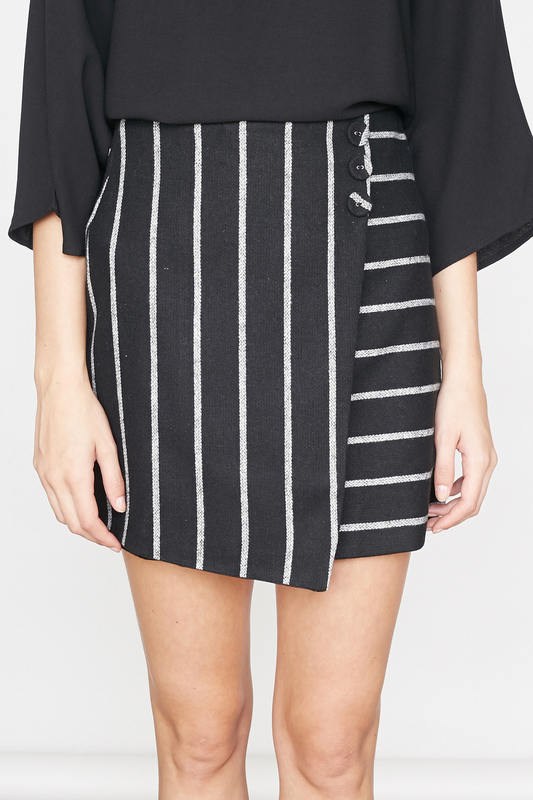 Features unique stripes placement, non-functional buttons, back zip. Skirt has no stretch in fabric. 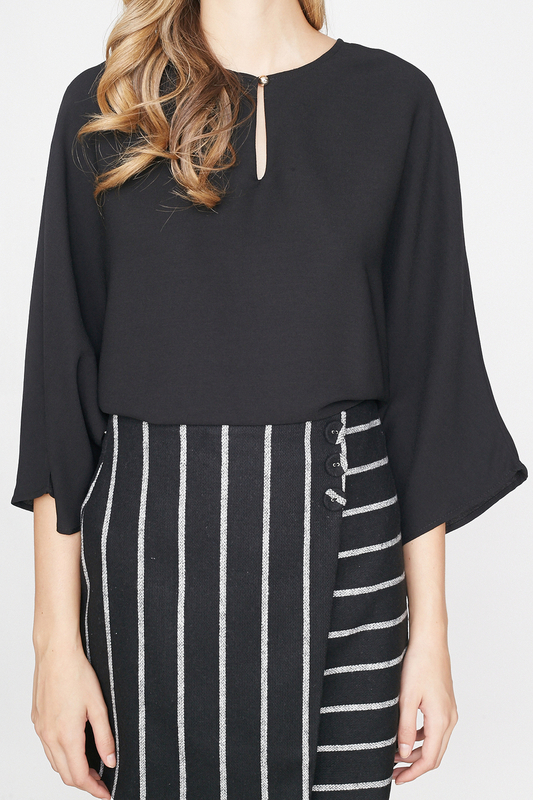 Model is 177cm, UK 4-6, and wears Size S for this item.